With our tool Annotate Expert, which comes in a free edition, you can place keywords on parts of an image. This can be very helpful when you e.g. tag people in images. Annotate Expert further allows you to easily upload images to the Nikonians galleries and much more. The program contains the "Expert features" for a trial period of 30 days, though the basic features are available for free without time limit. You can download the Windows version for free (Mac OS X version planned for later in 2010). You find more information about how to use Annotate, the Annotate FAQ's and an online user's guide of Annotate Expert in our wiki. You can earn a voucher worth $50 amongst all participants of our little questionnaire. To answer six easy questions will not take you longer than 1 minute, and all entries will be entered into a random drawing. The winner will be drawn at the end of June when the questionnaire ends, and will receive a voucher worth $50 for the Epson Webshop. The Nikonians IT team will be working this coming Sunday May 30, 2010 to disrupt your community activity the least possible. They will do their thing when the majority of our membership is sleep, shooting a sunrise, having breakfast or at church. Between 3:30AM and 9:30AM ESTD (Eastern Standard Time in North America), which is between 9:30AM and 3:30PM CETD (Central Standard Time in Europe), the forums will be down for maintenance. The image galleries will follow and will be down from 9:30AM ESTD until Monday noon. The update (version 11.0.2) addresses a number of critical issues and vulnerabilities discovered after Adobe Photoshop CS4 and Photoshop CS4 Extended (11.0 and 11.0.1) software were released. Critical vulnerabilities have been identified in Photoshop CS4 11.0.1 and earlier for Windows and Macintosh that could allow an attacker who successfully exploit these vulnerabilities to take control of the affected system. A malicious .ASL, .ABR, or .GRD file must be opened in Photoshop CS4 by the user for an attacker to be able to exploit these vulnerabilities. Adobe recommends Photoshop CS4 customers update to Photoshop CS4 11.0.2, which resolves these issues. This week, we're happy to interview the team that brings us Photo Mechanic, a great workflow tool from Camerabits software. 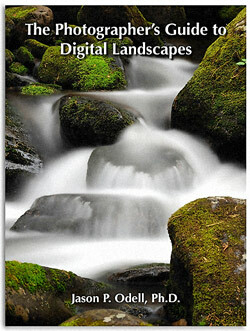 Jason's new eBook, The Photographer's Guide to Digital Landscapes is now out, and our prescription is taken from its pages! Congratulations to Nikonians Silver member Brandy Fortune (pixiepurls) from Georgia USA, winner of the 3rd Week of our Welcoming Photo Contest Phase VI. She had been a member previously and qualified for the contest by re-activating as a Silver member in May. 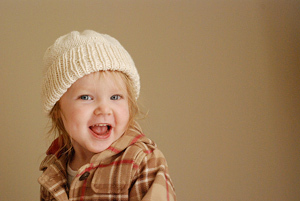 Brandy shot the image of her daughter wearing a knit cap with a Nikon D80, using an aperture of f/8 on her AF NIKKOR 50mm f/1.8D lens. She used Auto White Balance for an indoor shot that depended on natural lighting from a window as her "main." The shutter speed was 1/250 sec. "I had designed the knitted hat she is wearing and needed to take a good photo of it. In this photo she is standing on top of her bed, we are to the left of a very large window with a bunch of natural light. I always get great light standing to the left or right of this particular window; it also has a sheer curtain that helps filter the light. She was standing on her bed, running back and forth (as fast as a toddler can "run" on a bed I guess) and was bouncing and giggling. I was totally shocked I got the shot as clear as it is. I love her expression, and I love how the background of the wall looks in the photo. It reminded me of a Gap clothing ad." Brandy will receive a license for the Award winning Topaz Photoshop Plug-in Bundle courtesy of Topaz Labs (currently valued at $180 USD). Details on this contest can be found in our Phase VI announcement posted in the Photo Contest Forum. 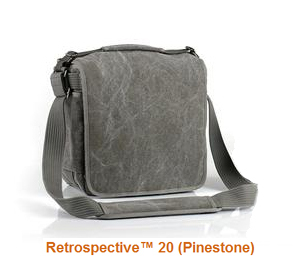 ThinkTankPhoto's new bag series is called "Retrospective." It honors the great photographers of the past who made history while having their gear slung over their shoulders in beaten canvas bags. While the outside of the bags look intentionally innocuous, the inside was specifically created to help field photographers carry their gear safely and access it quickly. The Retrospectives come in two basic models, the shoulder bag and the lens changer. Each comes in different sizes. And, in what is a first for TTP, they also are available in a color other than black (pinestone). In addition, TTP are donating a percentage of every domestic direct sale to Fifty Crows Foundation, a non-profit dedicated to documentary photography and public dialogue on issues raised through photography. You can take a closer look at the bags here at Think Tank Photo's homepage. Remember that all Nikonians members receive a special gift for orders over $50 - if you order through the Nikonians page at TTP. The Nikonians field event of the year, the 10th Annual Nikonians Adventure Trip (ANPAT) is now open for bookings. 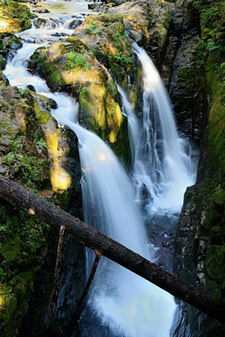 The ANPAT will take you to Olympic National Park in Washington State, USA. Your photographic talents will be challenged by wildlife, stunning vistas, quiet streams, dense forests and soaring peaks all within the same week, from September 11 to the 18th, 2010. The park consists of four counties, spanning nearly one million-acres and includes a photo-rich environment combining beaches, rainforests, charter boat Killer Whale photo excursions and a large assortment of scenic opportunities. Your hosts, Nikonians co-founders J. Ramón Palacios (jrp) and Bo Stahlbrandt (bgs) will be joining professional photographer Mike Hagen (Nikonians Academy Director) to make your ANPAT experience a memorable trip filled with photography, shop talk and camaraderie. Embarking on the tenth ANPAT, your hosts have already used their past experiences to compile an extensive set of Frequently Asked Questions. Congratulations to Rick Paul (rickpaul), Richard Hulbert (rhulbert) and Noel Holland (Noel Holland), our winners in the second round of the Nikonians 10th Anniversary Photo Contest. The theme was "Fellow Nikonians at Work." First Place honors go to "Rick H Death Valley" by Rick Paul (rickpaul), from Arizona, USA. Rick is a Charter Member -which means he has been a Nikonians member since at least 2005. 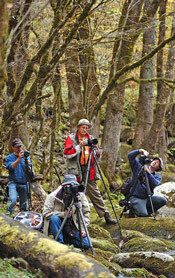 "ANPAT6 Nikonians at work" (at left) by Richard Hulbert (rhulbert) from Vancouver, Canada. He subtitled it: "From Left to Right: Peter Curatolo, Rick Matheny, Ronnie Wright, and Jon Bloom. Can you help me make these guys famous? " Richard is also a Charter Member -with Nikonians at least from 2005. 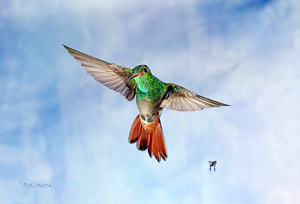 He made this image with a Nikon D2Hs and 105mm f/2.8G ED IF AF-S VR Micro Nikkor at f/2.8, 1/30 sec, ISO 200. "Stephen Dohrmann photographs the Grand Tetons ANPAT7" (above) by Noel Holland (Noel Holland) from London, England. Noel has been a Nikonians Member since 2006. 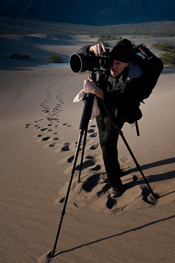 His image was subtitled: "Image of Stephen Dohrmann (Steve D) taken as he photographs morning light on the Grand Tetons with the Snake River Valley in front." He made it with a Fuji S5 Pro, 18-70mm Nikkor set to 18mm @ f/8, 1/125, ISO 100 with polariser and Lee Grad ND filters. Processed in Lightroom 2 and Nik Silver Effects. - A Nikonians Membership extension for one year (Gold for Richard, Platinum for Noel). Don't forget you can follow the 10th Anniversary Contest Galleries to see how the contest is shaping up. We will provide future winners names and details in our Nikonians Photo Contest Forum, News Blog and General Newsletter. 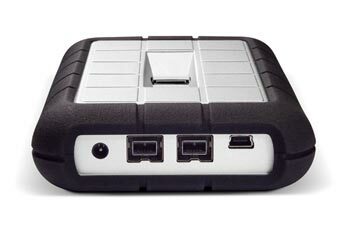 DxO Labs has announced the immediate availability of Optics Pro 6.2 for Windows and Mac. The new version now supports the Nikon D3s (Elite edition), it also features 85 new optical modules which brings the number of camera / lens combinations to 2,000. Along with a more intuitive interface, there comes a new default preset that offers a better sharpening of the smallest details, a new automatic denoising setting that restores even more RAW image details, XMP data conservation to allow better integration with Adobe Lightroom, new and improved shortcuts and improved stability. Standard edition: €99 instead of €149 (for a savings of €50), Elite edition: €199 instead of €299 (for a savings of €100). USA Dollars discount prices are $99 for the Standard Edition, $199 for the Elite. 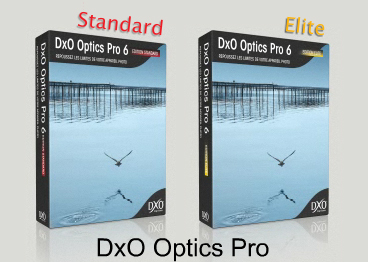 All customers who purchased DxO Optics Pro 5 or 6 after June 1, 2009 are entitled to a free upgrade to version 6.2. DxO Optics Pro Elite (any version) to DxO Optics Pro 6 Elite. You can find more information on the new software (e. g. a list of the US resellers) at DxO Labs' homepage. 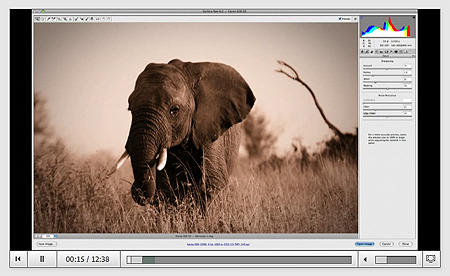 Adobe TV provides free videos that show you how to work with the new Photoshop CS5. And in case you want to have a look at the new software before buying it, you now can do with 24 tutorials available today. They feature videos named "Photoshop CS5 Overview", "What's new for photographers in Photoshop CS5", "Complex Selections made easy in Photoshop CS5" and much more. You will find the tutorials and more details about their exact content at Adobe TV. Enjoy! Our group of intrepid Nikonians Academy explorers are gearing up to leave for a 14 day cruise to nine different countries beginning May 27. We have closed registration for this trip and have a very large group coming from all around the planet! Our trip is called the Ultimate Travel Workshop and will take us from Nassau to Puerto Rico to Grenada to Curacao and back to the USA. It is truly going to be an incredible journey. Look for photo updates in our Nikonians.org galleries. If you want to test the new Creative Suite 5 Design Premium before buying it, Adobe now offers the complete suite as a 30 days free trial downloadable version. The full suite (6.2 GB / 7.2 GB for Mac) contains Photoshop® CS5 Extended, Illustrator® CS5, InDesign® CS5, Flash® Catalyst™ CS5, Flash Professional CS5, Dreamweaver® CS5, Fireworks® CS5 and Acrobat® 9 Pro* and can be downloaded for free here at Adobe. To download not Photoshop CS5 but the full suite, please click at the link "Try Photoshop CS5 Extended as part of Adobe Creative Suite® 5 Design Premium software" given at the very bottom of the page. Then please select your language and if you use a Windows or a Mac computer. If that's too much for your internet connection, you may as well order a DVD for $9.99 (free standard shipping). The trial version can always be transferred to a full version, even when the 30 days are over. Epson has launched two new affordable photo scanners with impressive parameters. 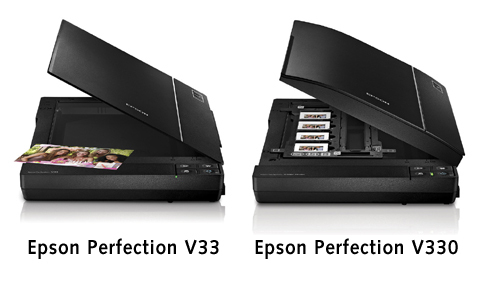 Both Perfection V33 and Perfection V330 deliver perfect image quality and exclusive scanning tools for $89 and $119 (USD). They feature 4800 x 9600 dpi optical resolution and include a 180-degree lid for scanning oversized objects. The V330 adds a built-in transparency unit that enables it to scan slides, negatives and film. Epson's ReadyScan LED Technology enables fast scan speeds, eliminates warm-up time and decreases power consumption and it is also mercury-free. And the Easy Photo Fix™ Technology allows users to restore color from old / faded prints, remove dust from scanned film or slides, and reduce grain. The ArcSoft Scan-n-Stitch Deluxe software comes bundled with the scanners. This program enables users to scan multiple images such as panoramas, oversized artwork, documents, and scrapbook pages, among other things, which it stitches together automati-cally. Both models include a one-year limited warranty and will be available in mid-June. Celebrating our 10th anniversary, we have increased the gallery space available for our Silver, Gold and Platinum members. Silver has now 500MB, Gold 1GB and Platinum unlimited gallery space. The Sambesi Group, manufacturer of flash equipment, sponsors the May segment of your "Best of Nikonians - 2010 Images" photo contest. The lucky winner will not only get the regular prize - an attractive product from Nikonians long-time partner ThinkTankPhoto - but additionally he will recieve a flash2softbox from the Sambesi Group worth $375. The photography theme in May is "Transportation". Contribute your image on that subject and you may win both prizes! 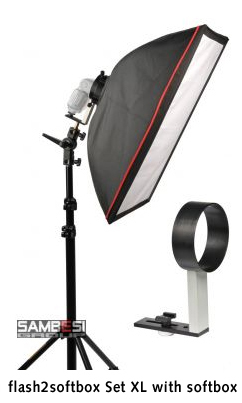 All details on the contest can be found on our webpage, more information on the flash2softbox (including a video clip) on the Sambesi Group's website. 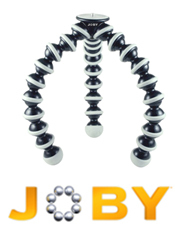 Joby, makers of the rough and tough, stick-'em-anywhere Gorillapods, is offering significant discounts to Nikonians. Contributing members receive twenty (20) percent savings on all purchases, including the Gorillapods tripods holders, Gorillamobile PDA/MP3 player cases and Gorillatorch hands-free flashlights. Go to your Rewards page now to start saving!